Navy Vet Denounces His Mother's Viral #HimToo Tweet - Joe.My.God. 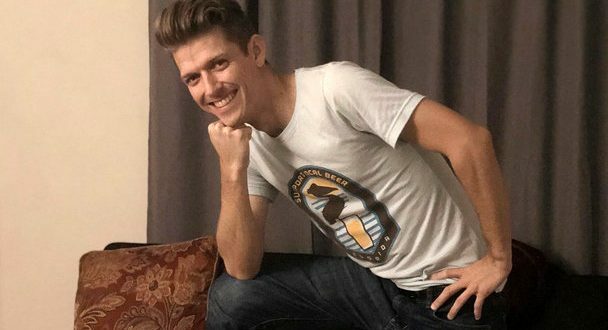 Pieter Hanson, whose mother’s “MY son” tweet went viral and prompted an onslaught of memes over the weekend, says he was disoriented and mortified when he found out that he’d become the poster boy of the #HimToo movement online. Hanson and his brother, Jon, said they could only speculate why their mother would write the post, saying she had a tendency to write gushing social media posts about her sons and sometimes could make “loose cannon” statements, but not like this. Hanson said he was too heated to speak with her directly about it Monday evening, instead asking his grandmother and younger brother to communicate his wishes that she remove the tweet. She removed her full account. Within a matter of hours of the tweet going viral, Hanson said, his life “became a whirlwind.” #HimToo started trending as hundreds started mocking his mom’s message, creating their own “This is MY son” posts.